In September 2015, German automobile manufacturer Volkswagen admitted to installing emissions falsifying software on multiple clean diesel models. By installing technology to turn on emission controls only during inspections and turn it off when inspections were complete, Volkswagen allowed their vehicles to spew toxic and illegal levels of nitrogen oxides into the atmosphere. Emissions from the affected vehicles have caused dozens of U.S. deaths over the eight model years in question. If you own a Volkswagen vehicle that has been affected by emissions cheating software, you may be entitled to recover compensation by filing a Volkswagen emissions lawsuit. The defective product lawyers at Phillips Law Group are available to assist you in pursuing legal action; fill out our free case evaluation form to discuss your claim with our skilled litigation team. Some states within the U.S. have laws limiting vehicle emission levels. In order to get around these limits, Volkswagen knowingly installed software on certain vehicle models which defeated the emission controls system; emission controls would work properly while the vehicle was undergoing inspection, and turn off as the vehicle was being driven. As a result of Volkswagens deceptive emissions control software, affected vehicles emitted up to 40 times the legal limit of nitrogen oxides, violating the federal Clean Air Act. 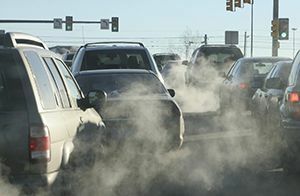 Vehicle emissions of nitrogen oxide form smog as well as increase soot particle volume in the air; exposure to these soot particles can be deadly. It is estimated that as many as 94 people have died in the United States as a result of the excessive emission levels produced by these Volkswagen automobiles, and hundreds more are likely across Europe as there are more Volkswagens on the road in European countries. Volkswagen has since issued a recall, and sales of the affected models have been halted. Volkswagen marketed their clean diesel vehicles as a more environmentally friendly automobile compared to those with gas engines, claiming clean diesel vehicles emitted 25 percent less in greenhouse gases. Consumers spent more on clean diesel models than they would have on gasoline models, expecting a vehicle that was better for the environment. As a result of the emissions scandal, owners can now expect to get a lower resale price for their vehicles. Multiple states and the District of Columbia are currently investigating Volkswagens environmental violations and fraud allegations. If you own one of the affected models listed above, you may be entitled to compensation for lost value of your automobile and other applicable damages. The Phillips Law Group will assist you in pursuing a claim against Volkswagen regarding their emissions deception. Call or text 1-800-706-3000 to schedule a free case evaluation.